A peaceful, humble, simple and spiritual personality. A rare soul who has always lived for others and remained in constant rapport with God. He is an advocate of world peace, and revered as one of the most influential spiritual leaders of the world. 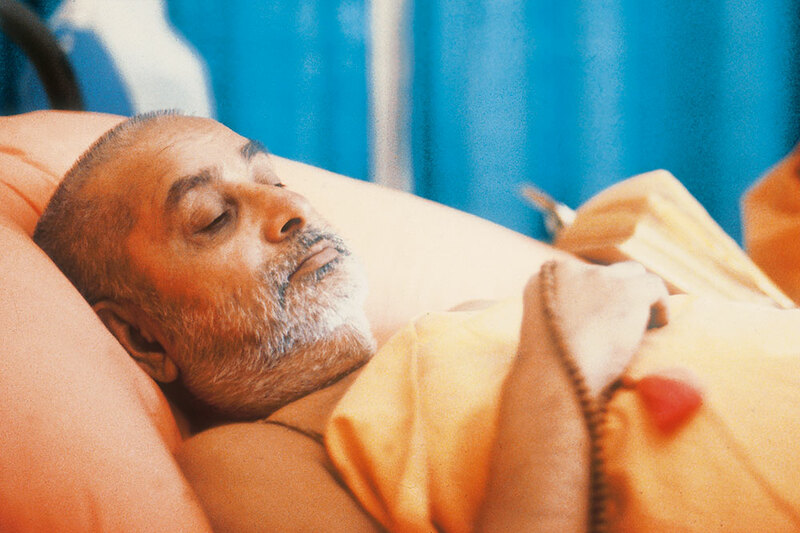 Pramukh Swami Maharaj lives by his maxim, ‘In the joy of others lies our own’ and has dedicated his life to selfless service for the spiritual and social uplift of society. 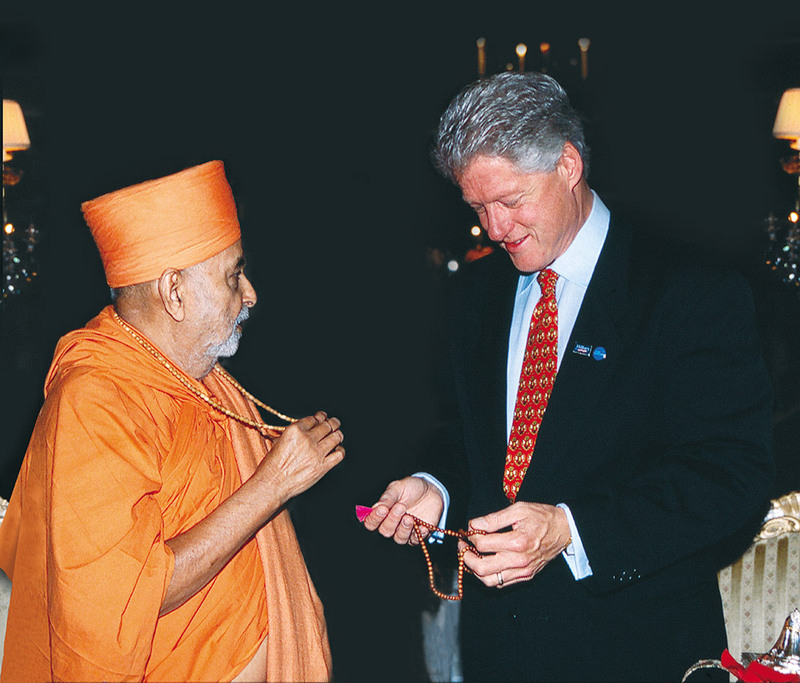 Over the last seven decades, Pramukh Swami Maharaj has inspired countless aspirants, and for the betterment of humankind, he has visited over 17,000 villages, towns and cities. 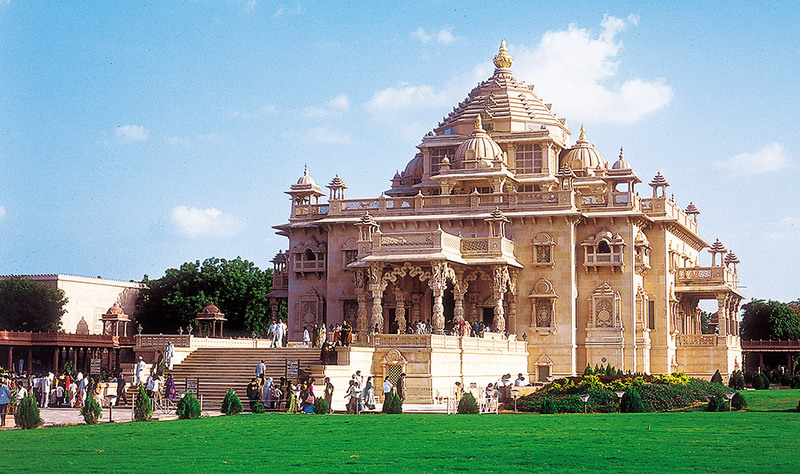 In addition to the renowned Swaminarayan Akshardham complexes, he has gifted the world with over 1,100 mandirs. These mandirs and cultural complexes have become hallmarks in preserving culture and performing social services. 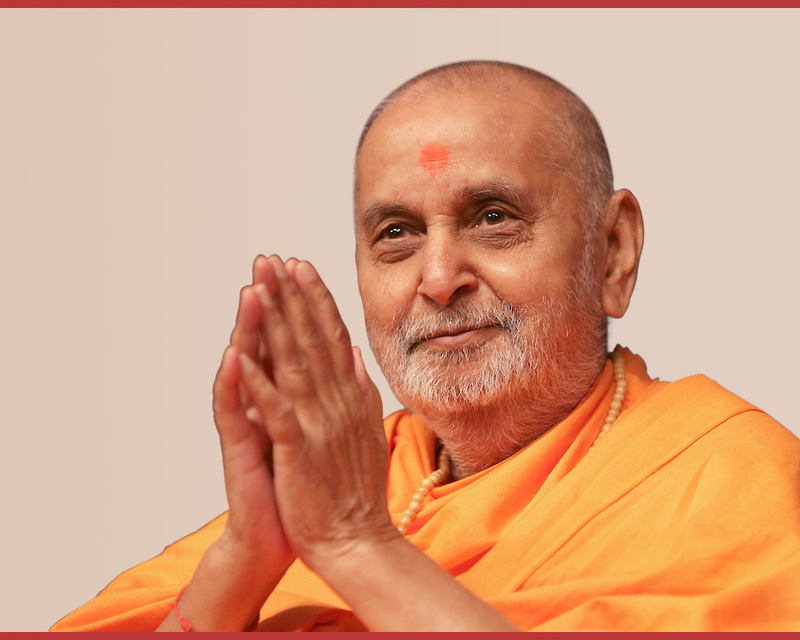 Pramukh Swami Maharaj is the fifth spiritual successor in Bhagwan Swaminarayan’s succession of Gunatit gurus, and he has uplifted and inspired spirituality in the lives of numerous people. Many aspirants have experienced the bliss of God in his presence. Many aspirants have reached the highest spiritual state, and today, many others continue to tread this path. Born in the village of Chansad near Vadodara, Gujarat; named Shantilal. Leaves home to become a sadhu. 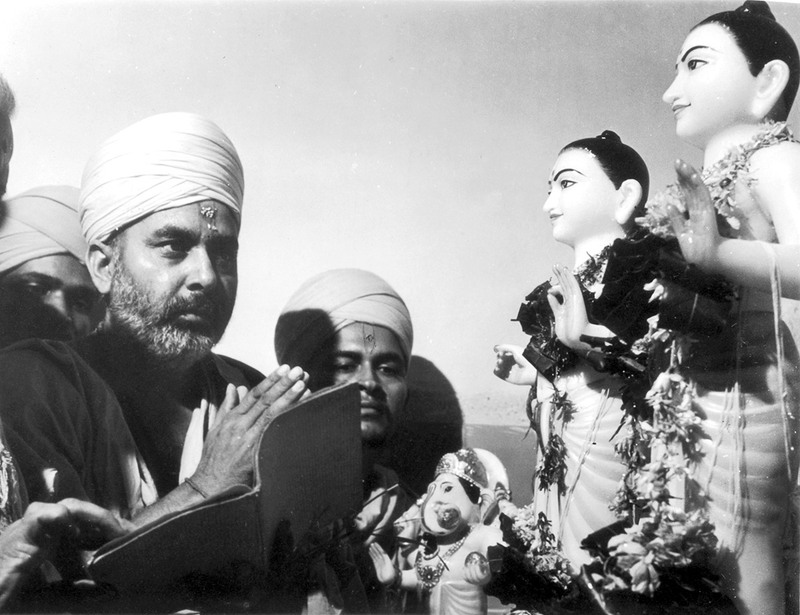 Initiation into parshad order by Shastriji Maharaj, Ahmedabad. 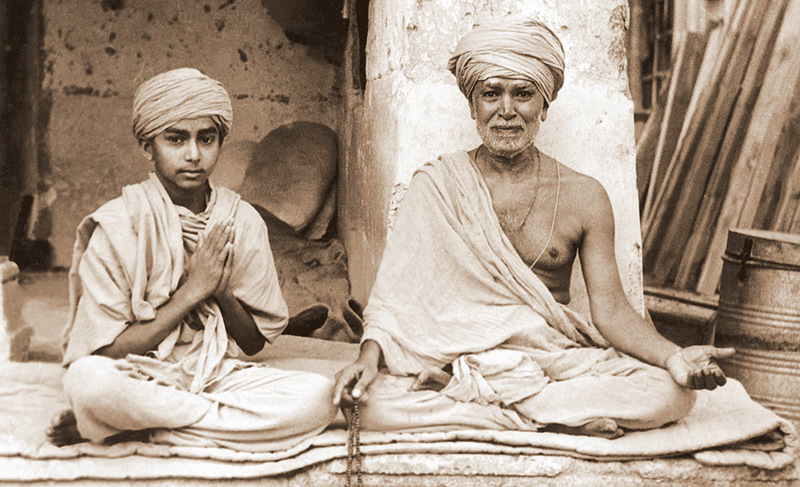 Initiated into sadhu order by Shastriji Maharaj at the Akshar Deri, Gondal; named Narayanswarupdas Swami. 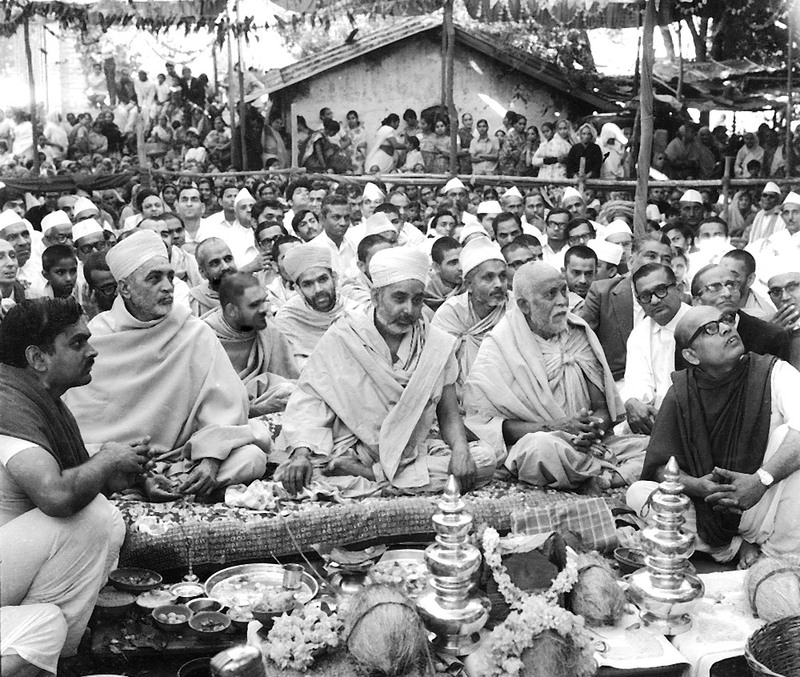 Sanskrit studies, vicharan with Shastriji Maharaj, various services in the mandirs. Appointed as Pramukh (President) of Bochasanwasi Shri Akshar Purushottam Swaminarayan Sanstha (BAPS) by Shastriji Maharaj, Ahmedabad. 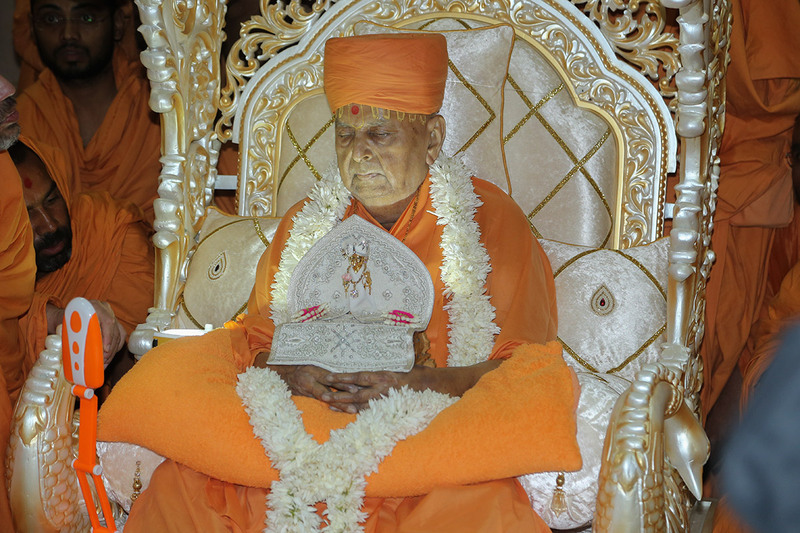 In Sarangpur, Shastriji Maharaj returns to Akshardham. Yogiji Maharaj becomes spiritual guru of BAPS. 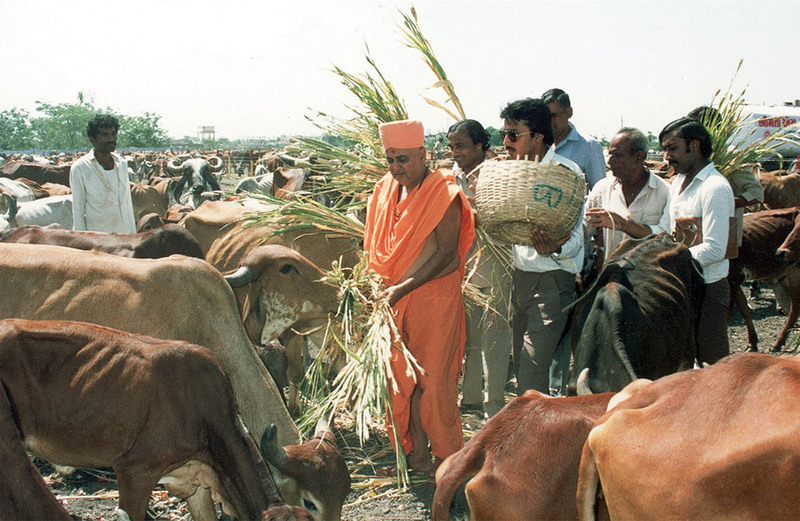 Pramukh Swami serves the BAPS under the guidance and blessings of Yogiji Maharaj. Overseas Satsang Tour to East Africa with Yogiji Maharaj. Pramukh Swami’s 48th birthday celebrated in presence of Yogiji Maharaj, Mumbai. 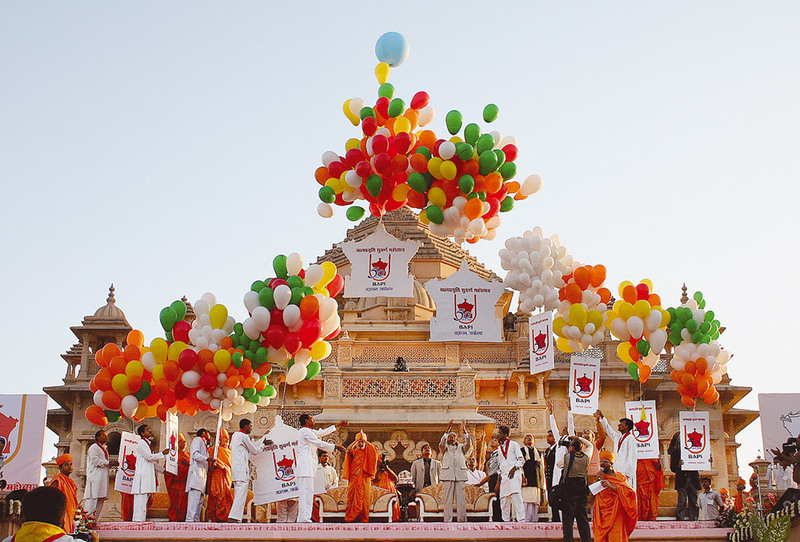 Yogiji Maharaj instructs devotees to celebrate Pramukh Swami’s birthday every year. In Mumbai, Yogiji Maharaj returns to Akshardham; cremation rites in Gondal. 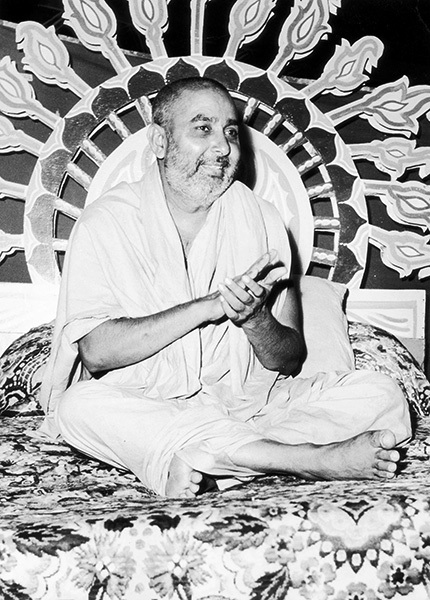 Pramukh Swami Maharaj becomes spiritual guru of BAPS. 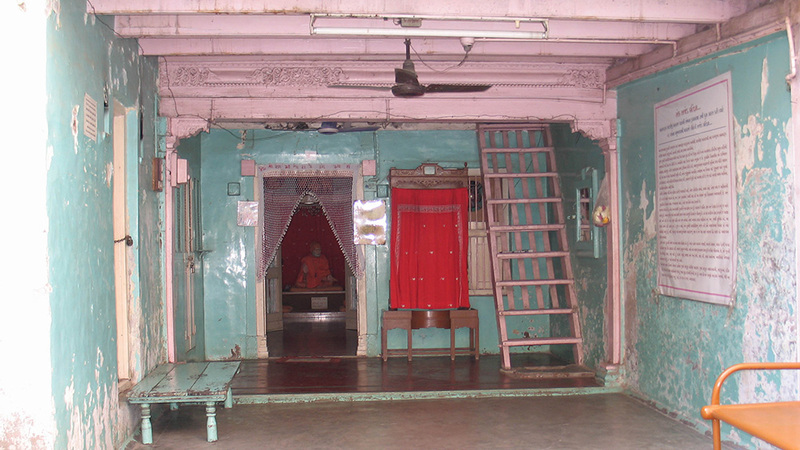 In Sankari, murti-pratishtha of the first shikharbaddha mandir by Pramukh Swami Maharaj. 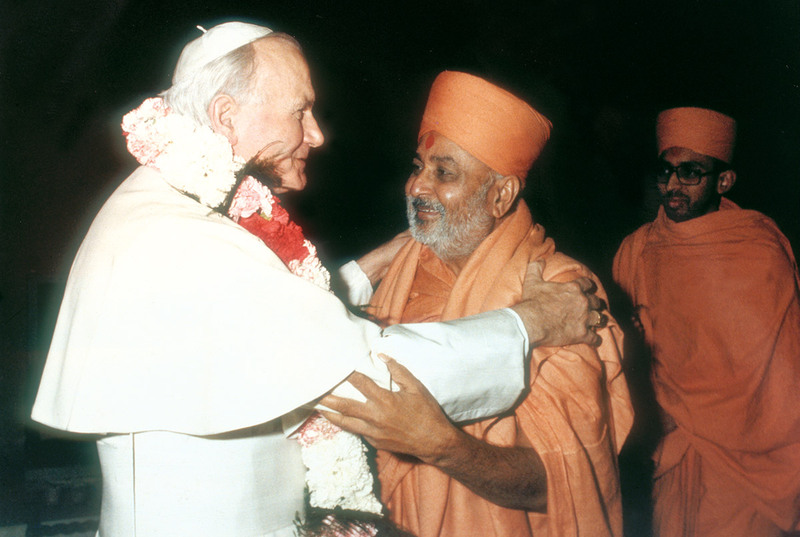 Over the next 45 years, he consecrated 1,100 mandirs in India and abroad. Kalash Mahotsav, Ahmedabad; initiation of 56 youths into sadhu order. First overseas satang tour after becoming guru. Received many ‘Key to the City’ honours. 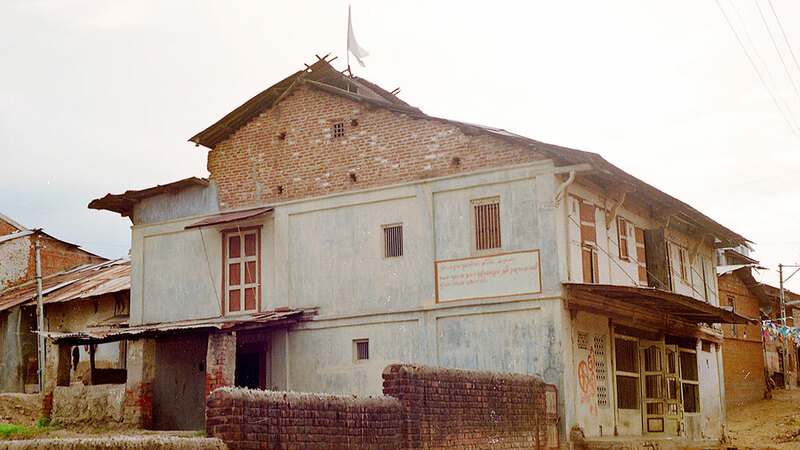 Consecrated first BAPS mandir in USA in New York. Over the next 40 years he consecrated 6 shikharbaddha mandirs and 70 hari mandirs in North America. 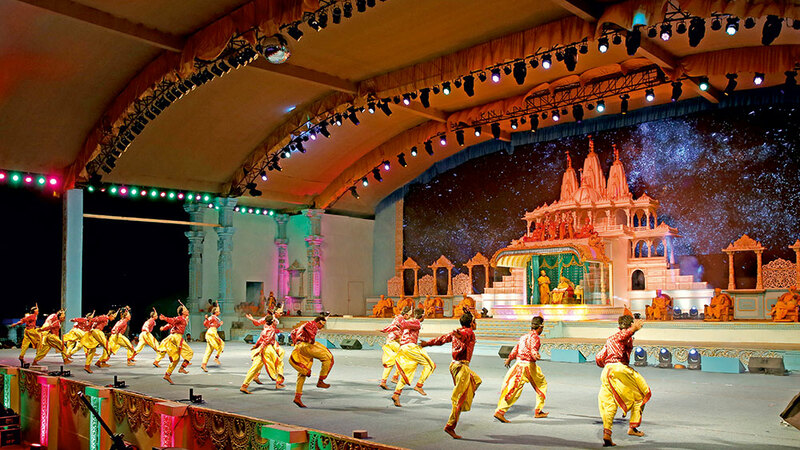 Bhagwan Swaminarayan Birth Bicentenary Celebrations, Ahmedabad; 37-day festival. Initiation of 207 youths into sadhu- and parshad-order. Visited by 8 million people. Pramukh Swami Maharaj, aged 62, suffers heart attack, Sundalpura. Even afterwards, for 30 years, he continued to serve tirelessly day and night. Meeting with Pope John Paul II, Vatican City. Grand 33-day Cultural Festival of India celebrated at Alexandra Park, London. Pramukh Swami Maharaj honoured in Suvarna Tula ceremony at QPR football stadium. All donations received gifted to Karamsad Medical College. 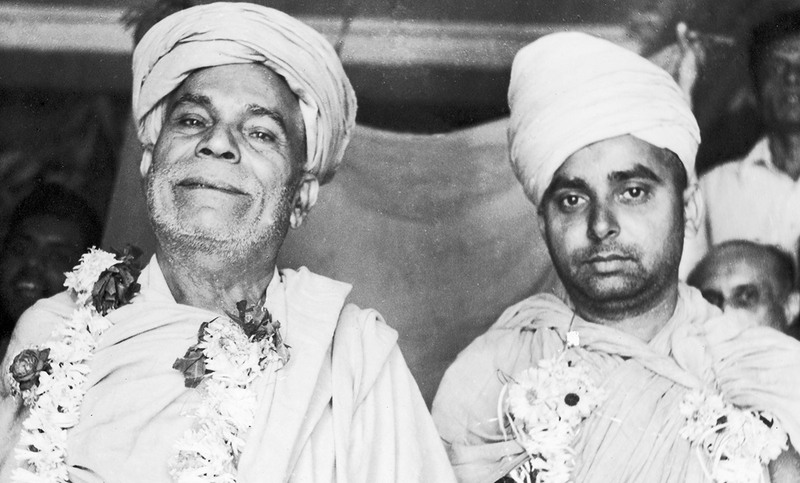 59-day Aksharbrahman Gunatitanand Swami Birth Bicentenary Celebrations, Ahmedabad. Initiation of 200 youths into sadhu and parshad orders. Over 8 million visitors. Cattle camps and famine relief activities in Gujarat. Twelveth overseas Satsang Tour. 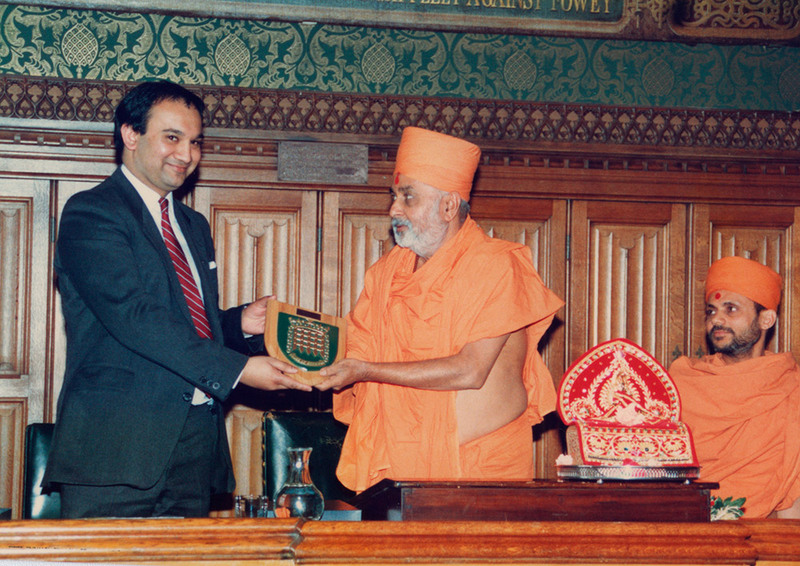 Pramukh Swami Maharaj honoured in British and Canadian parliaments. International Children’s Convention (Adhiveshan), Vidyanagar; 15,000 children participated. International Youth Convention (Adhiveshan), Vidyanagar; 21,000 youths participated. 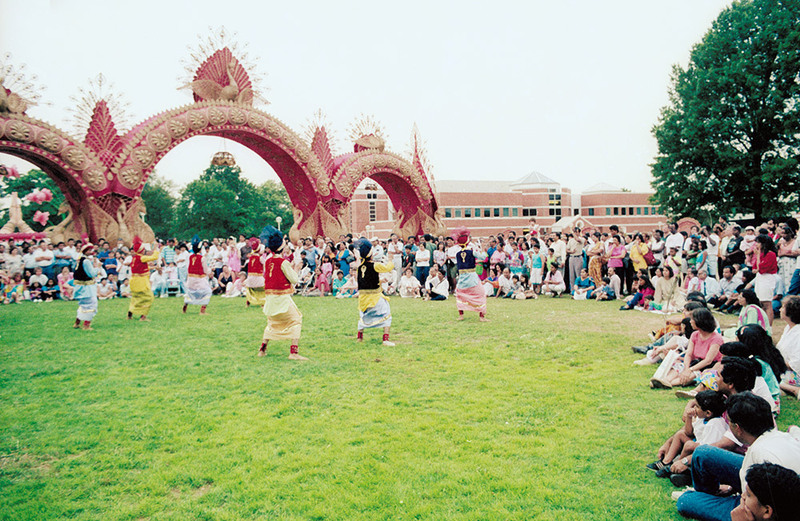 Cultural Festival of India, Edison, New Jersey, USA; Over 1 million visitors. Grand 35-day celebration of Yogiji Maharaj’s Centenary. 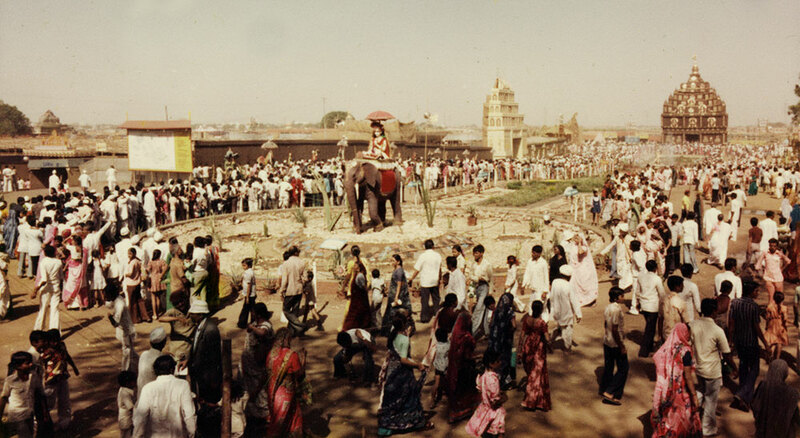 Inauguration of Swaminarayan Akshardham, Gandhinagar. Relief and rehabilitation activities following earthquake in Latur, Maharashtra. Murti-pratishtha of the BAPS shikharbaddha mandir in Neasden, London. 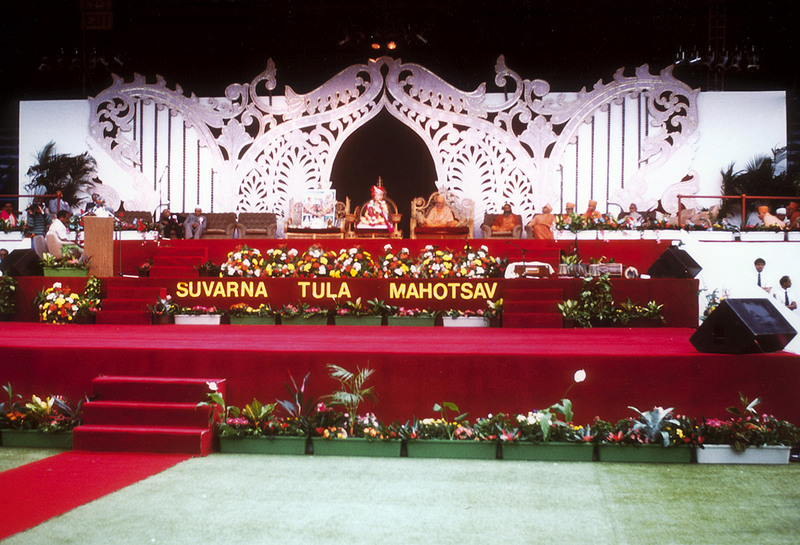 Swamishri’s Amrut Mahotsav celebrated in Mumbai, during which he publically dedicated an eye hospital. Thereafter, over next two decades, he established 7 hospitals and 11 mobile medical vans to provide quality healthcare to countless people. 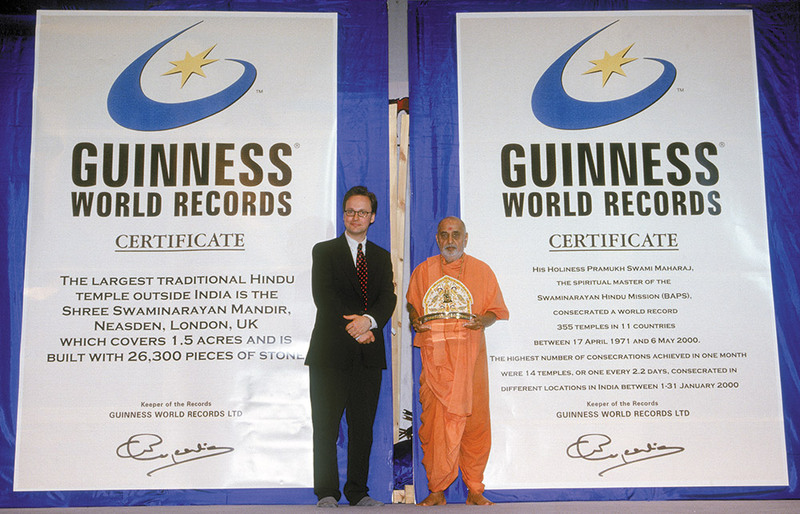 Guinness World Records recognizes Shri Swaminarayan Mandir, London as the ‘Largest Stone Hindu Mandir Outside India’. BAPS volunteers serve after cyclone in Andhra Pradesh. 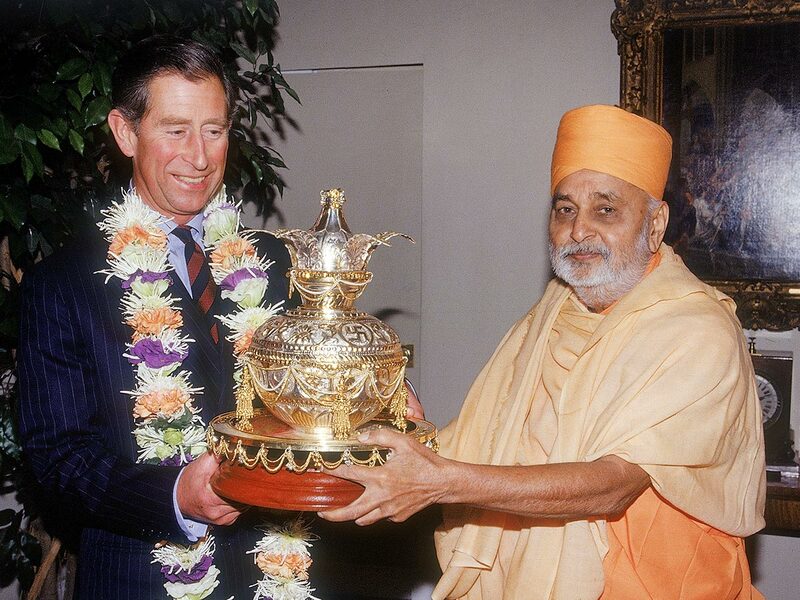 Pramukh Swami Maharaj received at St. James’ Palace by HRH Prince Charles, The Prince of Wales. 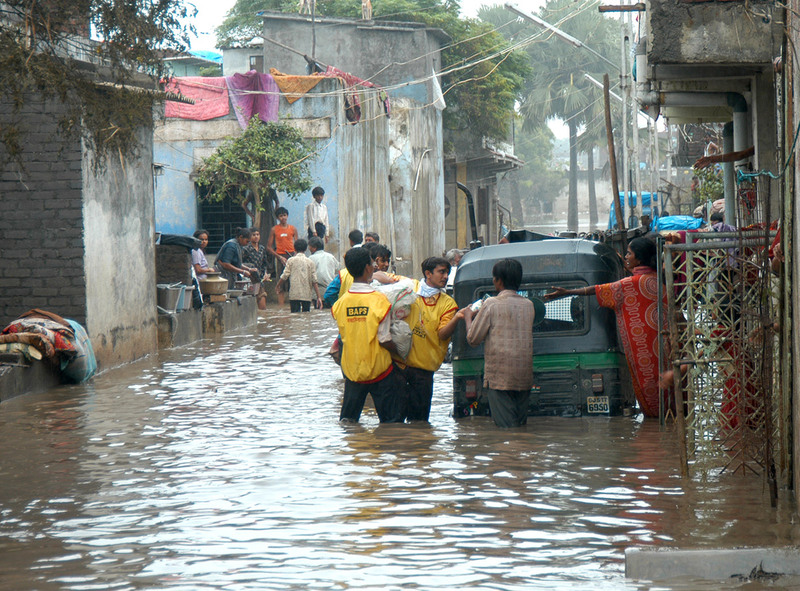 BAPS volunteers serve during floods in Gujarat. Swamishri undergoes heart bypass surgery, New York, USA. Murti-pratishtha of BAPS Shri Swaminarayan Mandir, Nairobi. Visit to Israel where Pramukh Swami Maharaj prayed at holy sites for Christians and Jews. Meeting with Rabbi Lau and Rabbi Doran Bakshi. 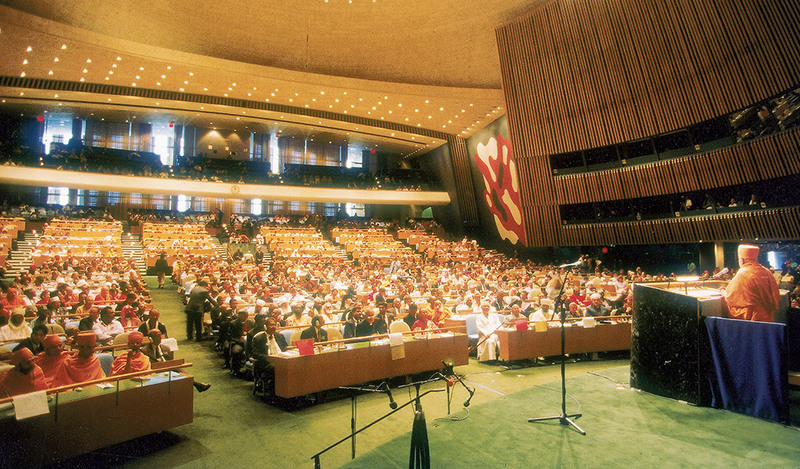 Pramukh Swami Maharaj addresses the Millennium World Peace Summit of Spiritual Leaders at the United Nations, New York, USA. Historic meeting with US President Bill Clinton and Secretary-General of the UN Kofi Annan. Cattle camps and relief aid for victims of drought in Saurashtra. Inauguration of BAPS Swaminarayan Vidya Mandir for Girls, Karamsad. In Dabhoi, opening of general hospital for the underprivileged. De-addiction campaign by BAPS children. Over 400,000 de-addicted. 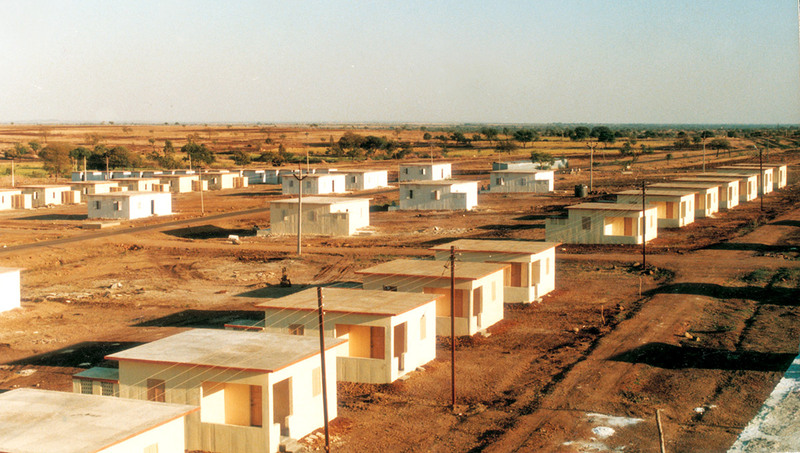 BAPS serves after earthquake in Gujarat: Emergency aid to 409 villages, infrastructure constructed in 15 villages and colonies; 49 schools built. 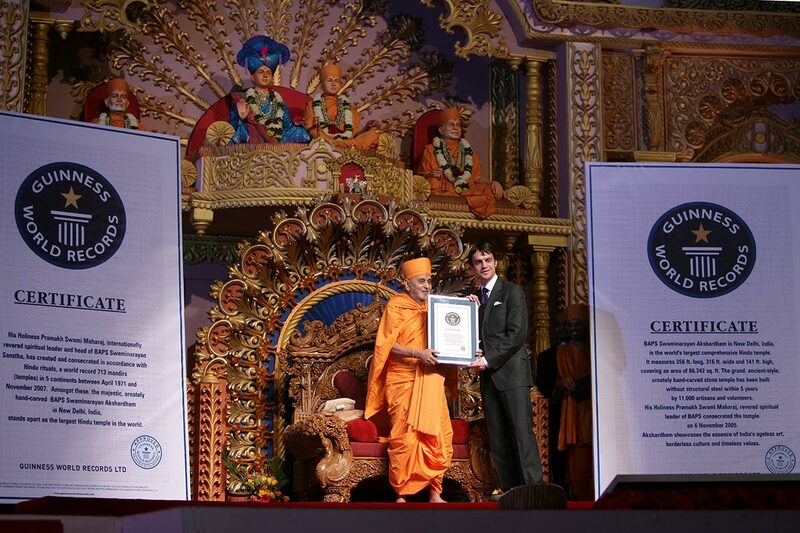 Guinness World Records recognizes Pramukh Swami Maharaj as one of the 20 most influential people of the world. 50th anniversary of BAPS Bal Mandal celebrated at Swaminarayan Akshardham, Gandhinagar, in the presence of H.E. APJ Abdul Kalam, President of India. 20,000 children attended. 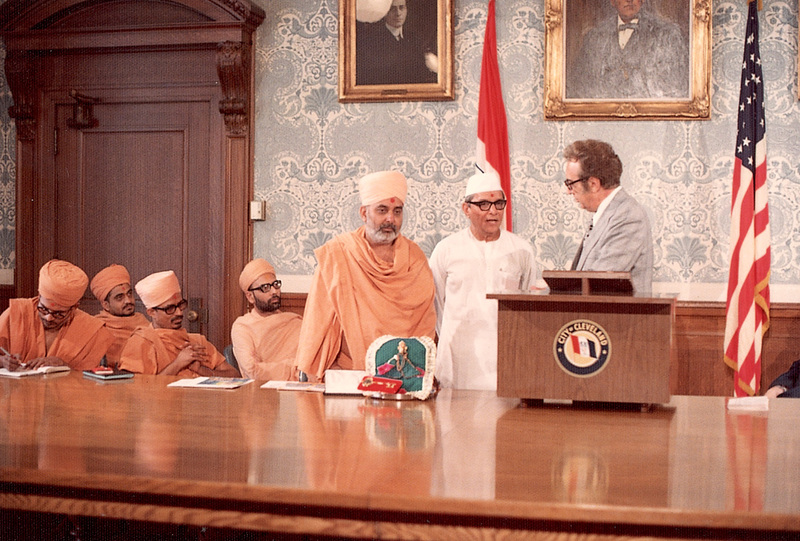 Pramukh Swami Maharaj receives Lifetime Achievement Award from the USA government. 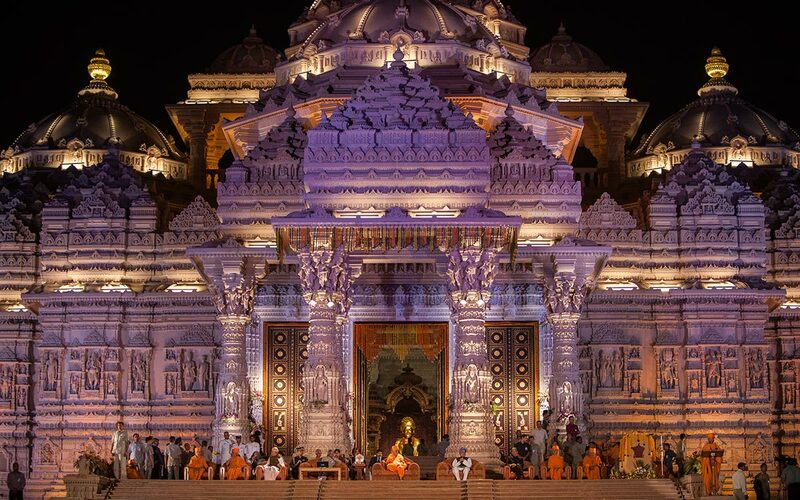 Opening of Swaminarayan Akshardham, New Delhi, by Pramukh Swami Maharaj, H.E. President Dr APJ Abdul Kalam, Prime Minister Shri Manmohan Singh and other dignitaries. BAPS volunteers serve after tsunami affects Andaman, Tamil Nadu and Pondicherry: Emergency aid to 51 villages. Release of ‘Mystic India’ large format film. BAPS serves during floods in Surat and other parts of Gujarat. Public dedication of two reconstructed tsunami-affected villages: Pattipulamkuppam and Mahabalipuram. De-addiction Campaign by BAPS children. 630,000 people pledge to give up addictions. Inauguration in Sarangpur of the Youth Training Centre for the all-round development of youths. Grand 4-day BAPS Centenary Celebrations, Ahmedabad. 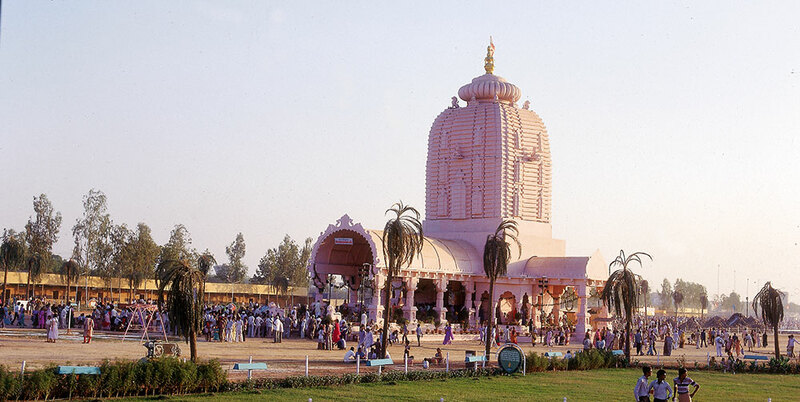 ‘Guinness World Records’ honour Pramukh Swami Maharaj as having consecrated the most mandirs and declare BAPS Akshardham temple in New Delhi as the largest Hindu temple in the world. 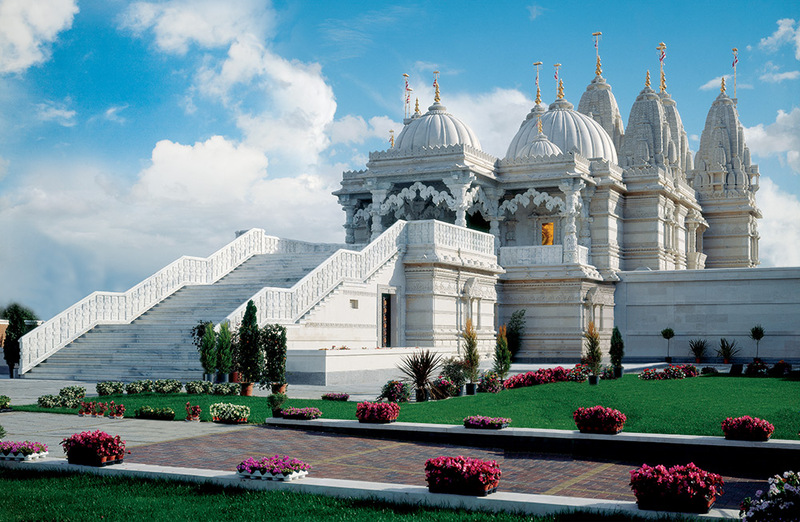 BAPS Mandir in Neasden, London, wins UK government’s ‘Pride of Place’ Award. Assistance to victims of floods in Bihar and Hurricane Ike in USA. Relief aid to flood-affected in South Gujarat. BAPS Mandir in Neasden, London, wins ‘Queen’s Award for Voluntary Services’. Swamishri inaugurates the ‘BAPS Swaminarayan Research Institute’, New Delhi. ‘Reader’s Digest’ selects Swaminarayan Akshardham in New Delhi as one of ‘The Seven Wonders of the 21st Century’. 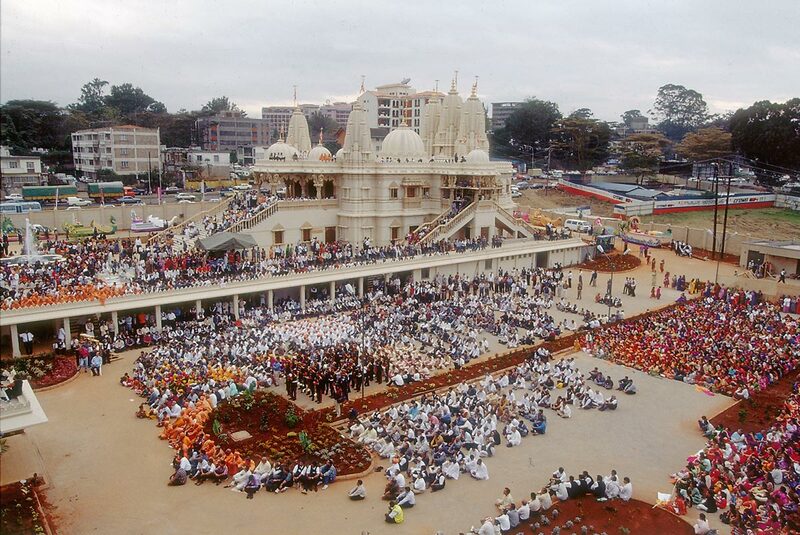 Shilapujan Ceremony for Akshardham in New Jersey, USA. BAPS assist victims of ammunitions blast in Tanzania and tsunami-earthquake in Japan. Swamishri has pacemaker implant, Ahmedabad. Inauguration of BAPS Yogiji Maharaj Hospital in Ahmedabad. 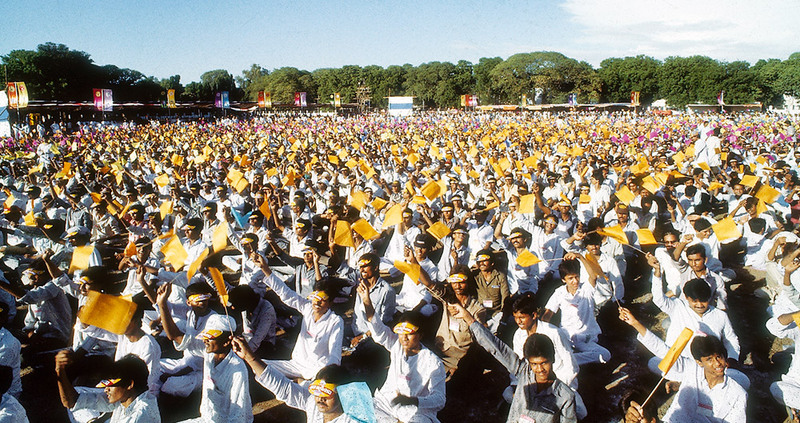 Over 60,000 youths attend BAPS Youth Activities Diamond Jubilee in Ahmedabad. Inauguration of BAPS Shastriji Maharaj Hospital in Vadodara. 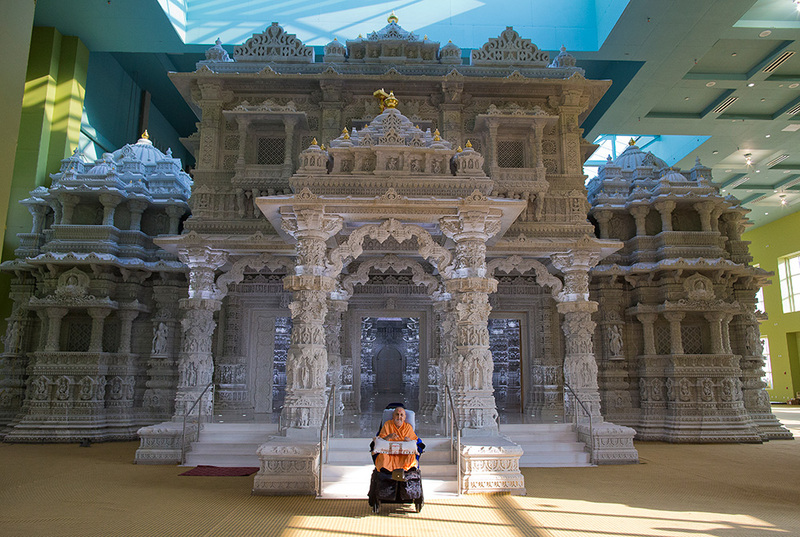 Pramukh Swami Maharaj performs murti-pratishtha of new shikharbaddha BAPS Shri Swaminarayan Mandir, Robbinsville, NJ, USA. Pramukh Swami Maharaj performs the Bhumital Pujan ceremony of Swaminarayan Akshardham Mahamandir in Robbinsville, NJ, USA. During the year-long celebrations of Shastriji Maharaj’s 150th Anniversary, 23,000 trees are planted and 572,000cc of blood donated. 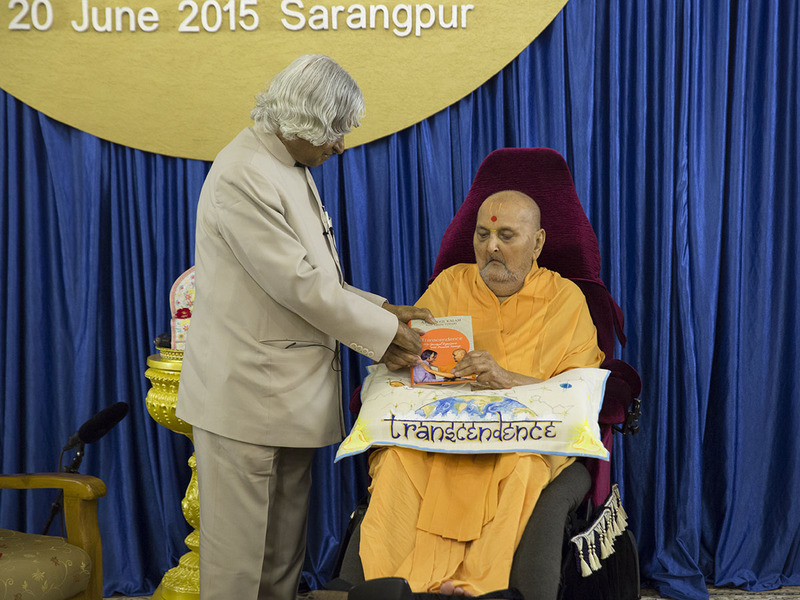 Former President of India, Dr APJ Abdul Kalam, presents his book ‘Transcendence: My Spiritual Experiences with Pramukh Swamiji’ to Swamishri. The centenary celebrations of BAPS Swaminarayan Mandir, Sarangpur, was celebrated in Pramukh Swami Maharaj’s presence. On 12 May, Pramukh Swami Maharaj performed the maha-abhishek and 100th patotsav arti of the murtis in the main mandir. 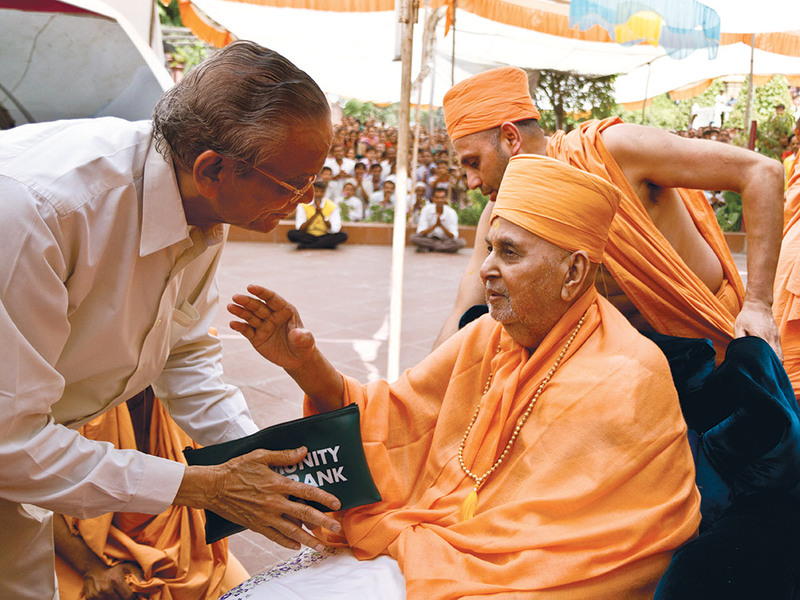 On 13 May, Pramukh Swami Maharaj blessed the centenary celebrations assembly in Sarangpur. Swamishri passed away at 95 years in BAPS Swaminarayan Mandir Sarangpur, India.